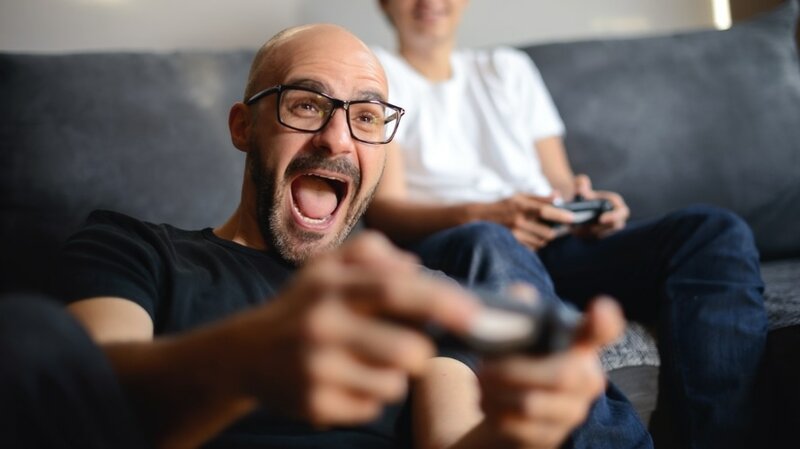 July is a time for ... console gaming? 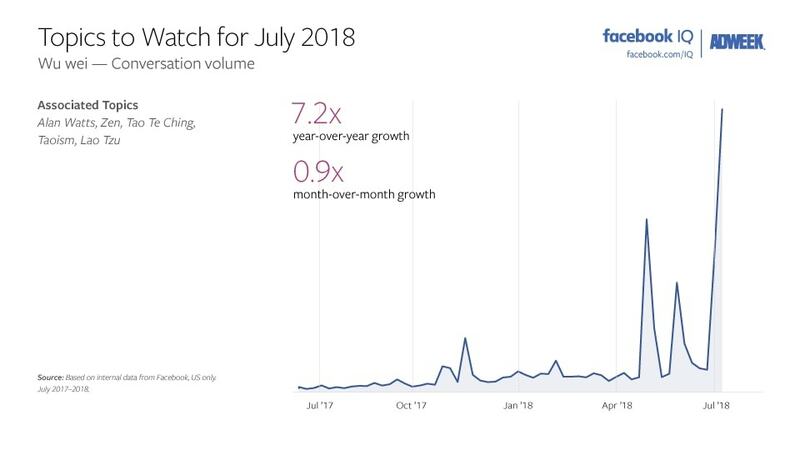 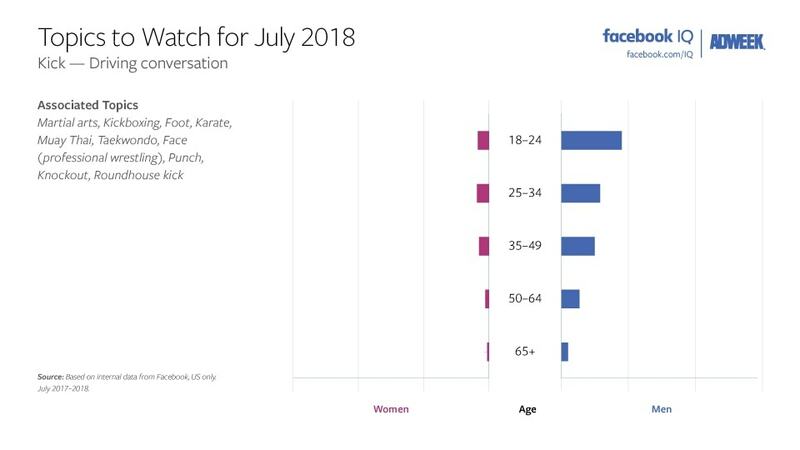 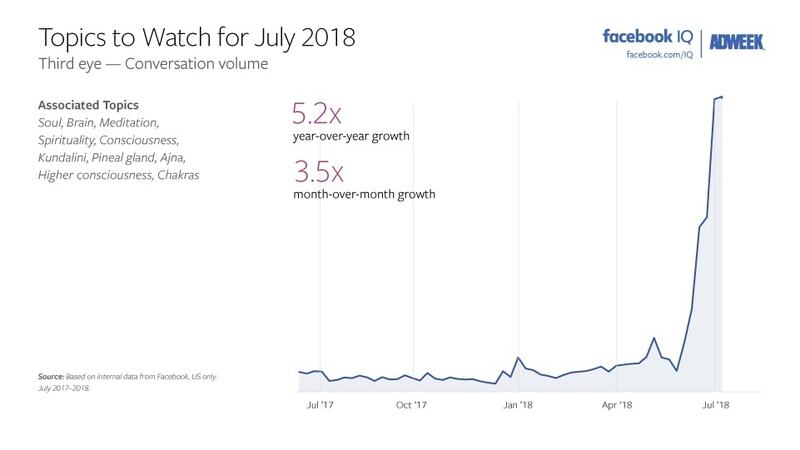 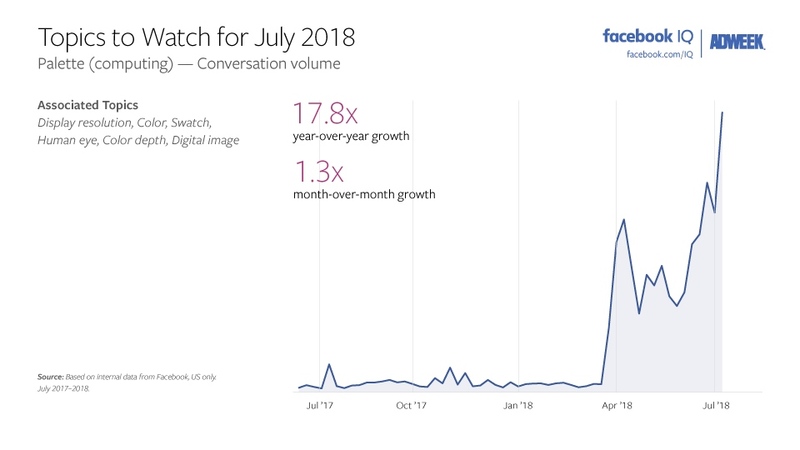 July is perceived as a month for outdoor activities, but when the temperatures got too high, Facebook users turned to console games, making them a Topic to Watch for the month, according to Facebook IQ. 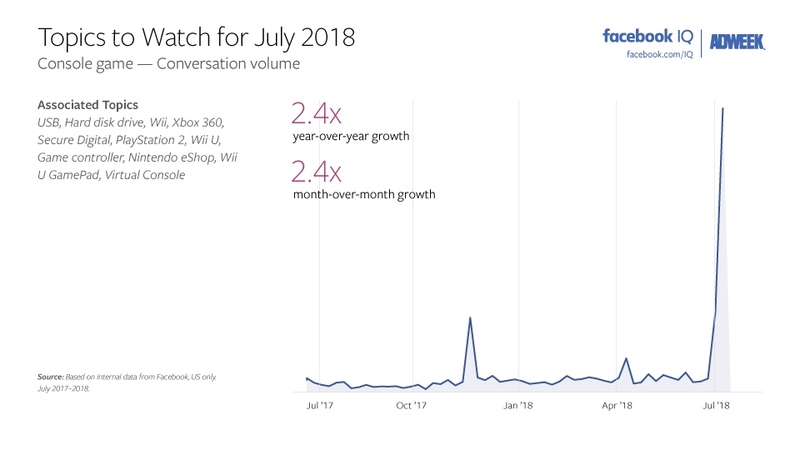 The social network’s research arm found conversation volume up 2.4 times both year-over-year and month-over-month for console games and related terms USB, hard disk drive, Wii, Xbox 360, Secure Digital, PlayStation 2, Wii U, game controller, Nintendo eShop, Wii U Gamepad and virtual console. 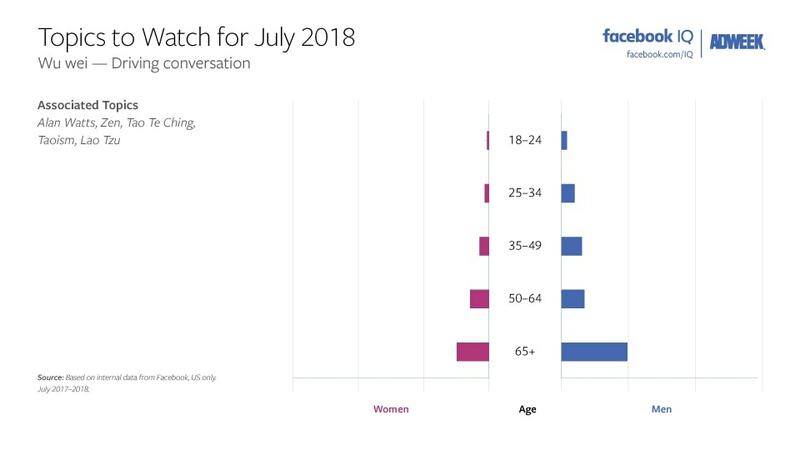 Men 18 though 34 dominated the conversation. 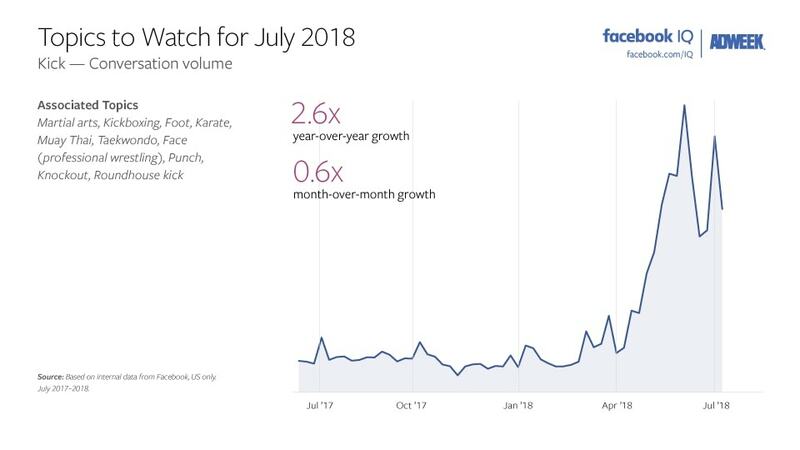 Facebook users also got their kicks in last month, as kick—along with martial arts, kickboxing, foot, karate, Muay Thai, taekwondo, face (professional wrestling), punch, knockout and roundhouse kick—saw growth of 2.6 times versus July 2017 and 0.6 times compared with June, with men of all ages setting the pace. 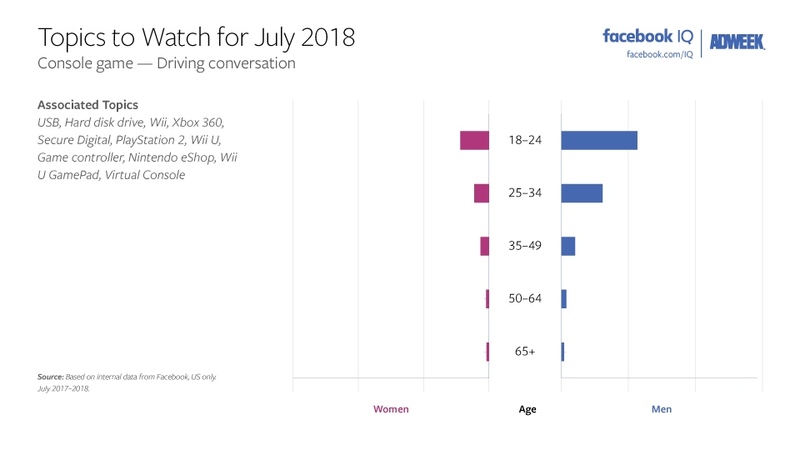 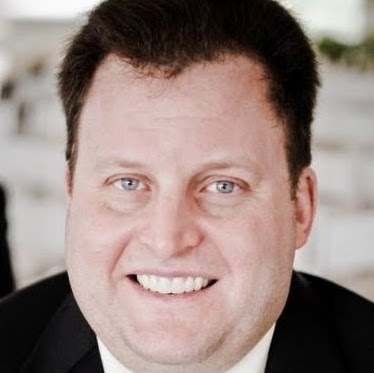 Discussion about palette, computer-style, skyrocketed 17.8 times year-over-year and 1.3 times month over month, dominated by women 25 through 34. 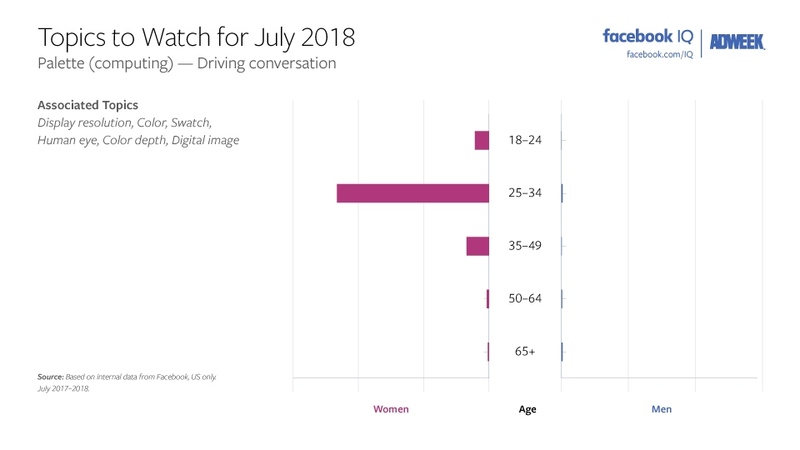 Related terms were display resolution, color, swatch, human eye, color depth and digital image. 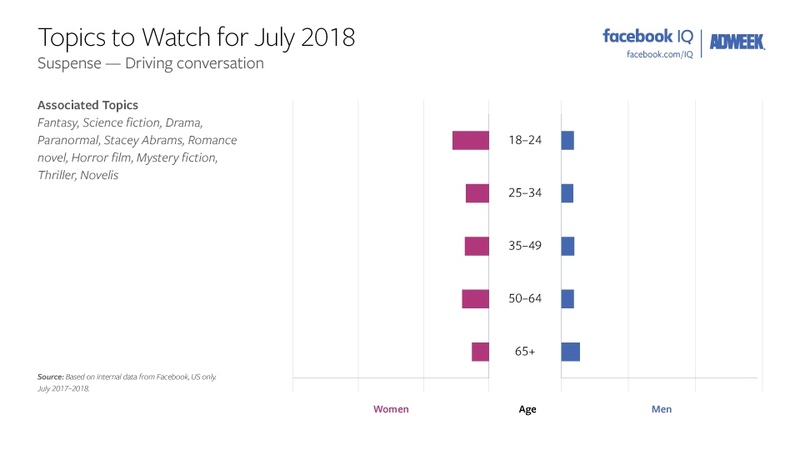 Many Facebook users were kept in suspense last month, as suspense—as well as fantasy, science-fiction, drama, paranormal, Stacey Abrams, romance novel, horror film, mystery fiction, thriller and novels—saw a 6.4 times gain in discussion compared with last July and a 1.6 times jump versus June, with women holding a slight edge in all age groups. 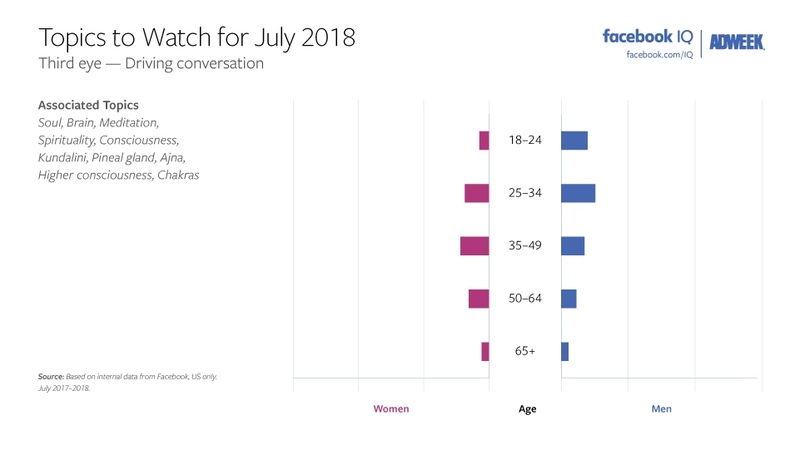 Many Facebook users also looked within during July, as third eye and related topics soul, brain, meditation, spirituality, consciousness, Kundalini, pineal gland, Ajna, higher consciousness and chakras was up 5.2 times year-over-year and 3.5 times versus last month, with the 25-through-49 age group in both genders leading the way. 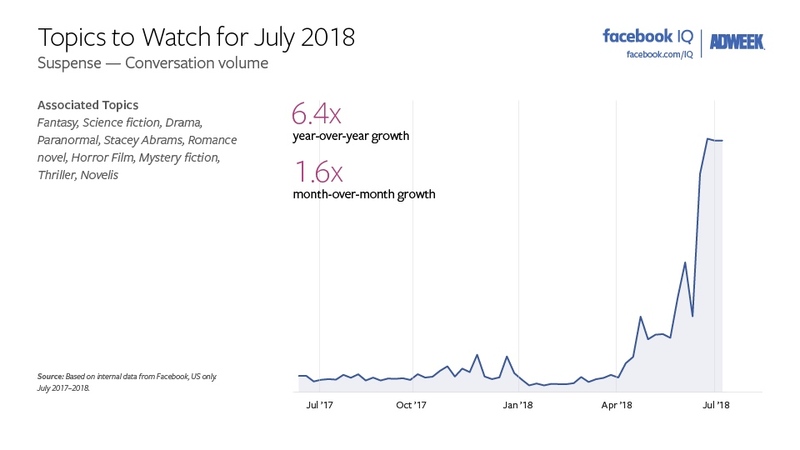 Finally, July was a time for doing nothing for many people on the social network, as wu wei—along with Alan Watts, zen, Tao Te Ching, Taoism and Lao Tzu soared 7.2 times compared with last July and edged up 0.9 times month-over-month, with those 65 and older, particularly men, exercising their rights to do nothing.